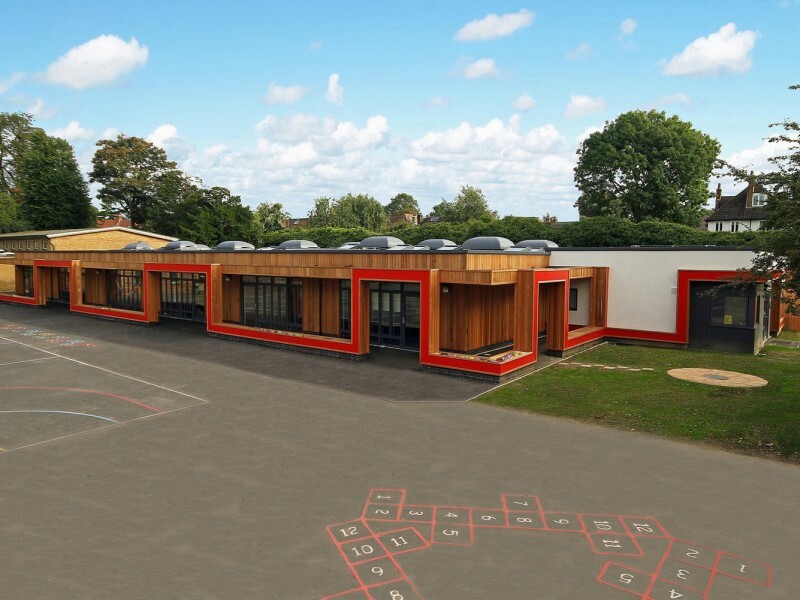 The new extension at Parish Church of England Primary School consists of a single-storey 12-classroom block which enables the school to expand from a 2 FE school to a 3FE school. It has been designed as a simple, low lying structure to mitigate any negative impact on the neighbouring residences, and split in two as the ‘classroom block’ and the services block. Keeping the design simple and contained, the classroom block provides its 12 classrooms as two lots of six mirrored classrooms on opposite sides of the new corridor. 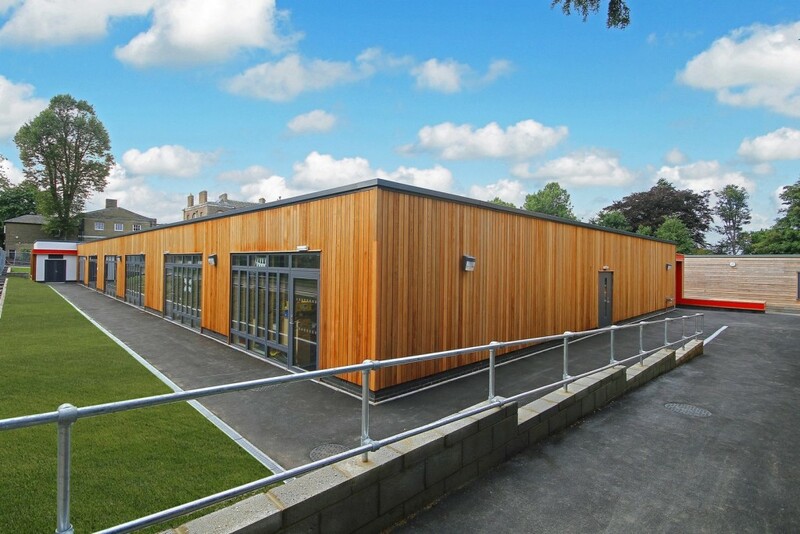 Each classroom has been provided with ample storage space to enable flexible teaching, and cloak areas for quick transitions from indoors to out. These new spaces are then supported by their own entrance foyer, new group room, Boys & Girls W/Cs, Accessible WC, and Staff WC, as well as plant room. Child-height interactive whiteboards, suspended ceilings, over-provision of power outlets for the increasing volume of electronic equipment, wireless IT connectivity throughout the building, wet areas within classrooms, roof lights for increased natural lighting and Breathable Building NVHR systems in each classroom for improved sustainability were design in collaboration with the client and installed to make the building perfect for Primary School use. 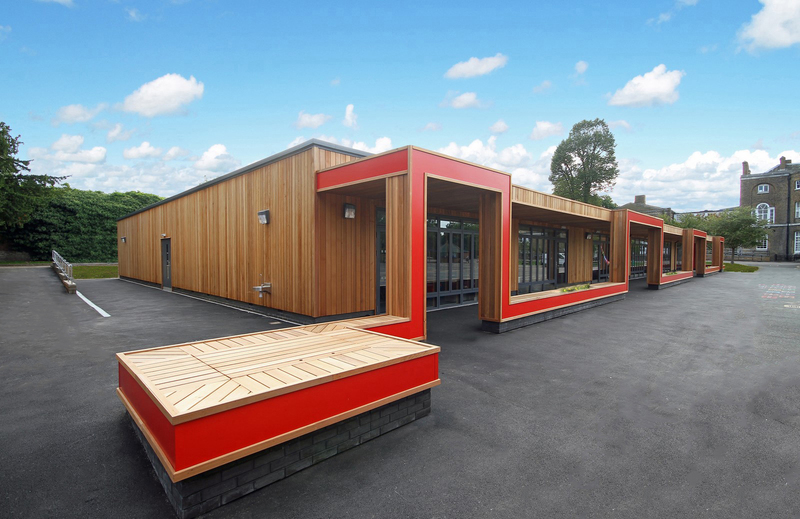 Externally the building features aluminium windows & doors, timber cladding procured through FSC® certified sources and a large external covered canopy to encourage outdoor learning. The design of the canopy provides an integrated approach to seating and planting with a unified and cohesive look. It acts as feature which ties the notionally separate services block and classroom block together. This is done by using a coloured band along the fascia of the canopy. 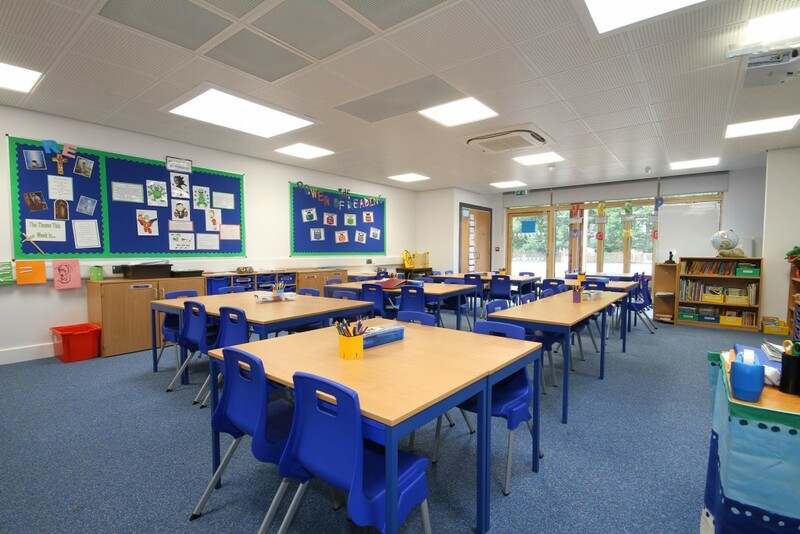 Classrooms have all been designed with direct access to outdoor activity space, with internal layouts providing a transitional craft and wet and dry learning areas delineated merely by change of flooring (carpet v. vinyl) to maximise flexibility and the free flow of information and interest.